A photographic journey across the five continents to document with fascinating black and white images, the rare beauty of our most important, unique and precious heritage: our planet. Genesis will be premiered in Rome and will be held at the same time in other capitals (London, Rio De Janeiro and Toronto). From these cities it will reach all major cities of the world. Genesis is presented with the support of Vale, Brazil. Genesis is a long-term photographic project, in line with the main bodies of work carried out previously by Sebastião Salgado; for example, the series of reportages presented in Workers or the series on the theme of the population movements around the world, that appeared in Migrations. This new project is about our planet earth, nature and its beauty, and what remains of it today despite the manifold destruction caused by human activity. Genesis is an attempt to portray the beauty and the majesty of regions that are still in a pristine condition, areas where landscapes and wildlife are still unspoiled, places where human communities continue to live according to their ancient culture and traditions. Genesis is about seeing and marvelling, about understanding the necessity for the protection of all this; and finally it is about inspiring action for this preservation. 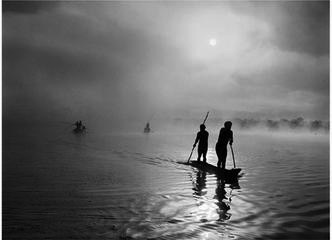 The exhibition is divided into five sections dedicated to the geographical areas Salgado has photographed: the South, The Shrines of Nature, Africa, the Far North, the Amazon and the Pantanal.